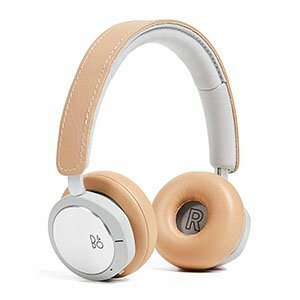 Top 9 Wireless Bluetooth Headphones Under $500 – Why Settle for Less? We humans are simple creatures. Sometimes all we need is a roof over our heads, a hot meal every now and then, and the best wireless headphones money can buy. If you’ve found yourself pining after the top of the range cable-free experience, you’ve come to the right place. And, oh, what an experience it will be. Whether you’re after the clarity and precision of a well-crafted, perfectly tuned audio experience, battery life that’ll make you feel like you’ve discovered some kind of perpetual motion machine between charges, or just the ability to drown out any and all background noise in an attempt to focus on your top tracks, you’ll find it all up here with the big players. One of the best headphones on the market right now. Features a very comfortable frame and padding. Packed full of impressive hardware all around. Advanced features which make all the difference. Not the best looking pair out there for sure. Higher end wireless headphones are truly something different. It’s one of those things where you really can’t judge it before you try it. One of the best ways to get some hands on experience is to invest in a pair of Audeara A-01. These are some of the best headphones you can get at the moment, especially in this category. The hardware it brings to the table is impressive to say the least. You have an awesome pair of drivers which are capable of delivering high res audio on demand. With a built in hearing test, you can calibrate the headphones to fit your hearing profile the best. On top of all that, these feature 35 hours of battery life. Attractive frame that really makes these easy on the eyes. 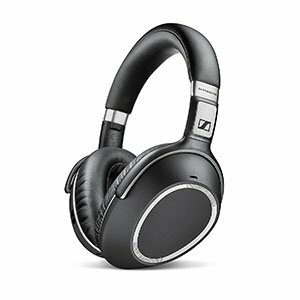 Quality hardware and drivers which offer high resolution sound. 22 hours of battery life paired with adaptive noise cancellation. Overall performance which really makes these some of the best. Adaptive noise canceling takes some getting used to. 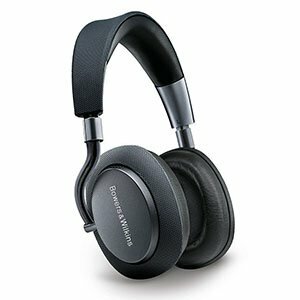 No list of higher end headphones can be complete without at least one Bowers & Wilkins model. The one that we have chosen for this list is the Bowers & Wilkins PX. These are definitely up there when it comes to both design, performance and overall quality. With that said, PX is also one of the best bang for the buck models. What hides behind that very attractive frame is a set of impressive drivers, adaptive noise canceling technology and so much more. The sound resolution is bordering hi fi headphones which cost much, much more and are not wireless to begin with. Plus, the battery life of 22 hours is definitely worth it. These are a great ticket into good audio. A straightforward design which is both attractive and functional. Subtle padding in all the right places ensures comfort. Delivers stunning performance thanks to impressive drivers. Great overall quality which really shows. 20 hour of use per charge is behind the curve. Sony’s higher end models need no special introduction. Most are know these for their reliability, good performance and overall comfort. That’s a double edged sword as Sony headphones aren’t necessarily too thrilling. However, Sony MDR1000X Premium Noise Canceling Headphones are definitely an exception to that rule. These are both attractive and they sound impressive. At this price, they’re a steal. Hardware wise you are getting a set of drivers which cover a 4Hz to 40kHz frequency range. That is simply amazing considering that most studio monitoring headphones don’t even reach that far. 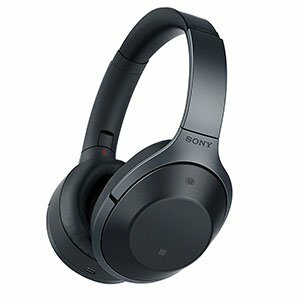 Combined with a 20 hour battery life, it really isn’t hard to figure out why these Sony headphones are growing in popularity. Overall, they are worth checking out. A retro design which features plenty of padding. Standard B&O comfort which really delivers. Hardware that offers some of the best sound quality available. Plenty of cool and functional features all around. On ear design makes these limited in terms of noise-canceling. It’s no secret that Bang & Olufsen are among the best brands to turn to when you need headphones. Their designs are both aesthetically pleasing but also technically sound. In other words, you aren’t just paying for the branding. You are getting a very solid package that carries great sound. Because of that, you should check Bang & Olufsen Beoplay H8i out. The frame on H8i has a pretty retro vibe to it. That can also be seen when you check out the padding. With that said, the comfort is definitely on point with these. Let’s just say that fatigue is not a problem. In terms of performance, these get you impressive bang for the buck. Plus, there’s 30 hours of playtime. A simple yet functional design that just works. Great comfort all around, especially the earpads. World class active noise canceling tech. Impressive sound quality which really delivers. Not much to look at in terms of aesthetics. Bose may not be the most popular choice for headphones among those on a budget, but they sure are the preferred brand of those who appreciate a good sound. 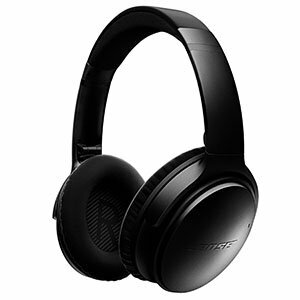 There are many models in their offer which deserve to be mentioned, however Bose Quiet Comfort 35 definitely stand out. These are interesting for a number of reasons. Here are some. A functional and elegant design that just works. Plenty of padding all around ensures good comfort. Delivers a great quality of sound and plenty of range. Full of great tech which adds to the experience. Not the most compact set out there. Moving on we have another awesome Sennheiser to show you. This time around the model is Sennheiser PXC 550 and it is full of surprises. One thing that we definitely appreciate about this brand is their sense of style and how it implements comfort. These are looking quite great without impacting the fit or comfort. Overall, PXC 550 are impressive. When you pop the hood and look under, you will see a whole bunch of interesting hardware. For starters there are your drivers which really pack a lot of range and the ability to render high definition audio. With NFC pairing and high end active noise canceling tech, you are looking at a well rounded experience on a daily basis. Simple yet functional design makes these quite practical. An awesome set of high definition 40mm drivers. Good battery life which is up there with the competition. Good noise canceling technology allows for a good experience. Not the prettiest set of headphones on the market. Panasonic used to be among the giants of the audio industry at one time. These days, they share a less impressive reputation, but one that is still very much respected. 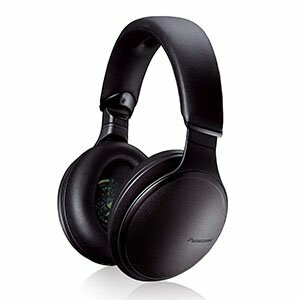 Panasonic RP-HD605N-K Premium Hi-Res Wireless Headphones show us how good this brand still is and what kind of solutions we can expect to see from them.Overall, there are many. At the core of these headphones are two premium 40mm HD drivers with MLF diaphragms and a custom tailored anti vibration suspension. 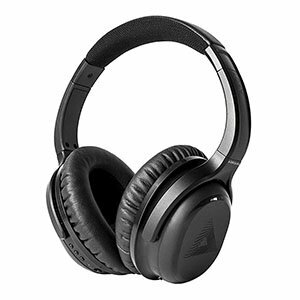 These are paired with a capable noise canceling system as well as a large internal battery. The overall result is a great sounding set of cans which can give you 20 hours of incredible audio quality per charge. Compact and stylish design which is easy on the eyes. It comes with all the cool tech you'd expect. Impressive sound quality paired with good noise canceling tech. Comfort levels which ensure minimal fatigue. Not the greatest battery life out there. Another Bose model we wanted to show you comes in form of Bose SoundLink II. 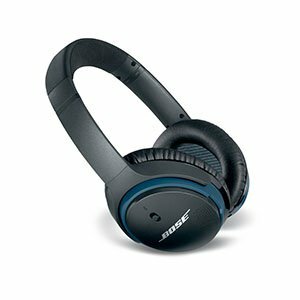 These belong to Bose’s more affordable models but they still deliver a very high level of both sound quality and overall performance. One of their most redeeming features is their compact size, which makes them a good choice for every day use on the go. What really makes SoundLink II impressive is the fact that you’re getting all the premium tech in a much more affordable package. We’re talking Bose premium drivers paired with their high end noise canceling tech and a battery that holds up to 15 hours. With a charging time of 3 hours, these can go head to head with the best. Effective and easy to use noise canceling tech. Comes with a good amount of padding all around. Good sound that is hard to top at this price. Decent battery life for the money. Not the best looking set of cans out there. Beats by Dre used to be all the rage not so long ago. These days the hype is gone for the most part, but these are still one of the favorite headphones of the masses. 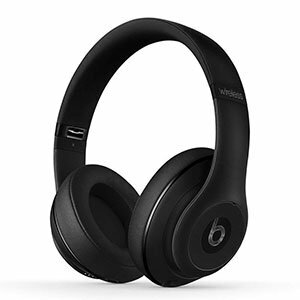 Beats Studio is a more robust member of the family which offers wireless use and a more refined sonic profile. These are quite competitive overall. The hardware you are getting is pretty decent to say the least. There’s the pair of drivers that has made these so legendary in the first place. Then you have 12 hours of battery life per charge which is easy to monitor thanks to the ‘fuel gauge’. Last but not least, you are getting dual mode adaptive noise canceling tech. Where to even start? It’s all pretty great. Best of all, though, is the fact that you can find exactly what you need whilst making far fewer trade-offs than you would at other price ranges. If you’ve put the time in to evaluate all of your options, then you will be all too aware that buying a new pair of wireless headphones—as with so many things in life—is often a game of finding the perfect balance between an often large range of features and properties in order to end up with the best possible product for your individual needs. At this price point, however, you’re not going to have quite so much trouble. Pretty much everything that retails for this price (with some exceptions, of course) is going to function well across the board. And by ‘well’ we mean there won’t be a whole lot more you can ask for. If we were to pick one thing which many top of the range headphones are somewhat lacking in, it would have to be visual design. It’s typically understood that people who are willing to spend the most on headphones—even the traditionally less ‘purist’ market that is wireless headphones—are far more interested in performance than looks. And this, broadly, remains the case. However, the upper end of the headphone market is long overdue an update in terms of aesthetic. A lot of brands opt for generic—though premium in terms of build quality—design which don’t make much of a statement. Maybe that’s something that bothers you, and maybe it isn’t. Either way, you’ll tend to find more unique style in the $200 range so consider checking it out if, for you, form is just as important as function. There are a number of things to check for when making the decision to buy a top-end piece of audio equipment. It may sound counterintuitive, but it’s highly recommended that you check out all of the common price brackets before rushing straight to the top. Not only can this potentially save you some money, but you will also get a great sense of what kind of attributes you can expect to find, and what each does well relative to the price points both above and below it. One thing that is of particular note to those purchasing at this price bracket is active noise cancellation. While even a $50 pair of headphones can provide something in the way of passive noise cancellation, actively blocking background noise is a totally different game. If this is key to you, be sure to get your hands on a pair before purchasing to see how it works for you. It’s often fairly subjective to a point, and there’s nothing like hearing them with your own ears before purchasing. It’s a lot of money, sure, but it’s also an investment in a quality product that will—as long as everything goes to plan—last you a long time, and continue to outperform the competition for the foreseeable future. Purchasing at this kind of price range means that the world really is your oyster when it comes to deciding on exactly what kind of listening experience works best for you. And, at the end of the day, customization is the real luxury.